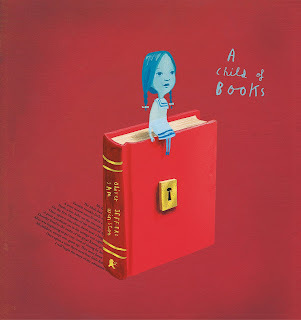 "A little girl sails her raft across a sea of words, arriving at the house of a small boy and calling him away on an adventure. Through forests of fairy tales and across mountains of make-believe, the two travel together on a fantastical journey that unlocks the boy’s imagination. Now a lifetime of magic and adventure lies ahead of him . . . but who will be next?" 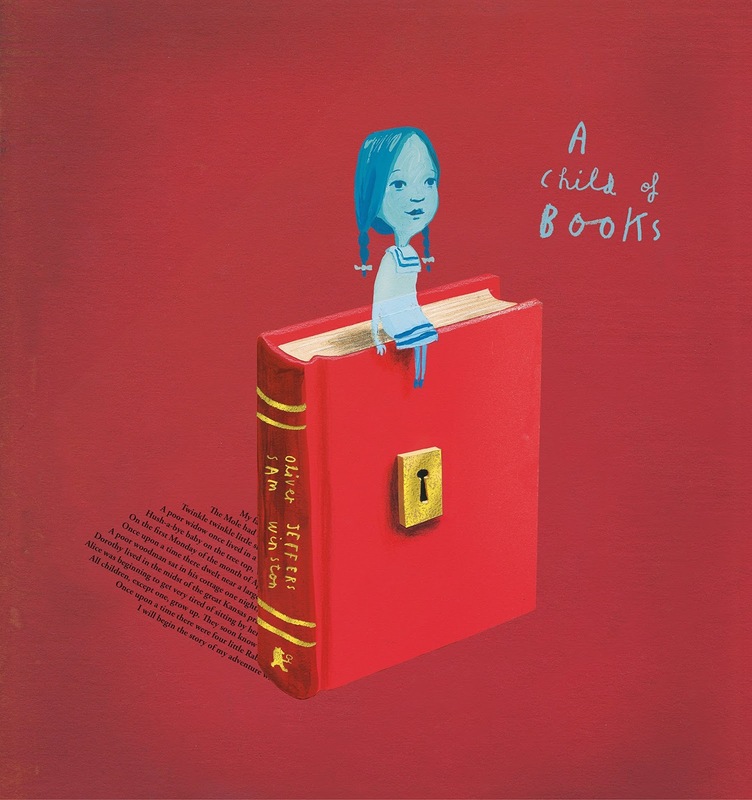 This isn't really a story as much as it is a poetic celebration of reading. Yes, it is beautifully done—the words are striking and the illustrations (especially the incorporation of the text of classic literature) is amazing. Phenomenal, really. But...I get the feeling it's more for adults or even older kids. Ones who particularly love reading and are very sentimental. Do I love it? Sure, because I feel like I'm the target audience. Would I share it in storytime or with my kids? Sure, to share my love of it. But would they love it? It's definitely not your usual picture book. It's beautiful, but it takes a special soul to fully appreciate it. 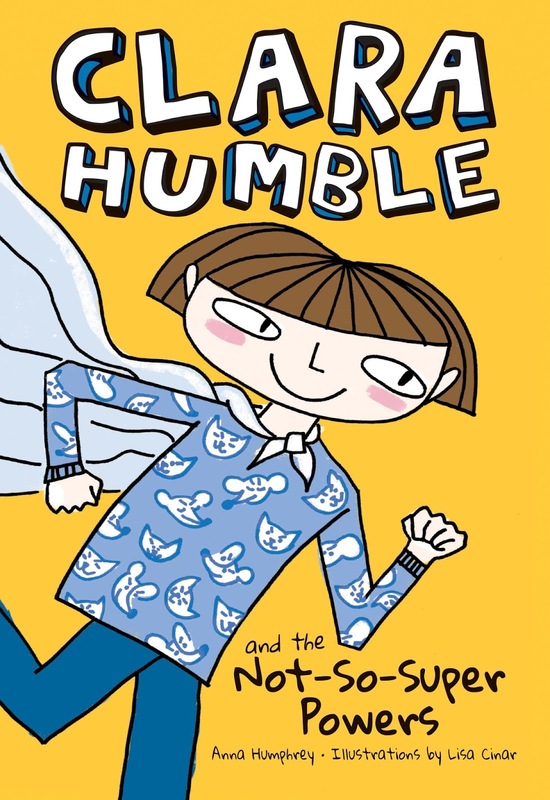 "Clara Humble may seem like your average fourth-grader who doesn’t look before she leaps, but she has a secret: she thinks she might have superpowers. Which is convenient, because things aren’t going so well for Clara. Students from rival R. R. Reginald are moving into her school for the term, and Clara’s favorite neighbor, Momo, is moving to a faraway retirement home. 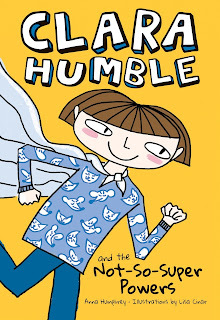 "Together with her best friend, Bradley, the winsome and overconfident Clara becomes convinced that her knack for making liquids spill, overhearing her parents’ conversations, communicating with her pet chinchilla, and maybe even mind-controlling teachers could be used to put a stop to these injustices." Who doesn't want super powers? This book is an awesome story that kids, I'm sure, will love. The voice is authentic and the situations that Clara finds herself in are definitely going to be a lot of fun for the target audience. The interspersed illustrations also add a lot of humor, which is also important for kids. I would recommend it to kids, sure. Personally, however, I didn't love the story as a whole. It became a little too busy; Clara is dealing with her moving neighbor and the rival school moving in and revenge on behalf of the school mascot and digging for treasure... It gets to be a bit too much for my taste. Also, the absent-minded parents (while present and helpful most of the time) were not my favorite characters—flat and unoriginal. But really, these are my own nitpicky opinions; I really do think kids will love this new hero. "Food chemistry, atom crashing, wave power, food chemistry, and robots! 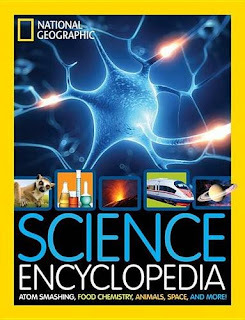 These are just a few of the topics covered in this fantastic new science encyclopedia, which presents a comprehensive overview of physical and life sciences from A to Z. Super smart and kid-friendly, it’s packed with full-color photographs, weird but true facts, amazing statistics, do-it-yourself experiments, plus profiles of scientists and National Geographic's explorers who rock the world of science. Keep up with the changes happening all around us with this stellar science reference book." Wow! This is really an awesome, comprehensive overview of...well, science. I was skeptical because when one says "science. ", there's a lot to talk about! But between one section for physical science (where they covered topics in chemistry, physics, engineering & technology) and the other section for life science (astronomy, zoology, biology & geology) they pretty much touched on everything. Seriously, I'm impressed. I enjoyed the layout—it makes sense read cover to cover, turning to random pages to browse, or looking up specific topics with the glossary. While some National Geographic Kids books feel pretty random to me, this one was much more cohesive while still appealing to kids (lots of little asides, jokes, DIY experiments, etc.). If you've got a budding scientist, this book is a must. Recommended for sure!